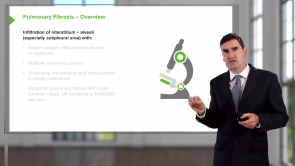 Idiopathic pulmonary fibrosis (IPF) belongs to a group of diseases whose specific cause is not well known, which keeps clinicians and researchers worried: the often rapid progression of IPF is very distressing. Also the underlying causes are mostly unknown, pathophysiologic explanations and findings are still unsatisfying. With only a 5-year survival rate of 20–40 %, only quick decisions such as initiating a lung transplantation, might help prolong a patient’s life. Sarcoidosis, also referred to as Morbus Boeck or Morbus Besnier-Boeck-Schaumann disease, usually attacks the lungs and is therefore frequently taught within the scope of pulmonary diseases. The bottom line is, however, that this disease can also affect any other organ meaning that medical students may not only encounter its clinical picture in many exams dealing with various specialties but also in their clinical routines in different specialty disciplines. You will learn in this article how to accurately classify the progression and symptoms of sarcoidosis and to take the right steps to diagnose and treat it. Pneumoconiosis is an occupational lung disease that is related to coal dust exposure. Macrophages and fibroblasts become activated and focal lung fibrosis occurs. 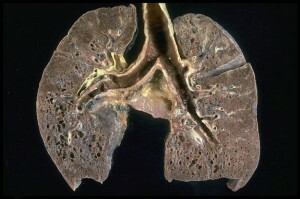 If left untreated, patients can progress to massive lung fibrosis which carries high mortality. 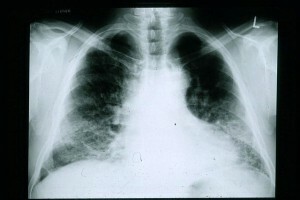 History taking and chest x-rays are the mainstay diagnostic tests to confirm and stage pneumoconiosis. Current treatment of pneumoconiosis is mainly symptomatic. Lung transplantation might be an option for patients with advanced pneumoconiosis. 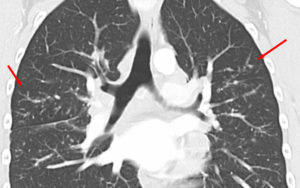 Patients with interstitial lung disease usually present with progressive exertional dyspnea, cough and hypoxemia. 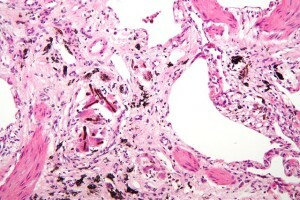 Computed tomography imaging of the lungs can reveal fibrosis or granulomatous disease. Symptomatic treatment with oxygen supplementation might be needed but specific treatment should also be tried because some conditions are known to respond to medical therapy. Lung transplantation should be available as an option for patients who do not respond to medical therapy. Content good but delivery too fast and monotonous, with little or no emphasis on the really essential parts. Overall result is a boring lecture unfortunately. Very easy to understand ILD lecture .